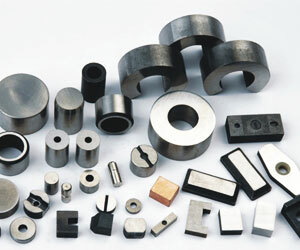 Magnets may be used in conveyors, plates, assemblies, separators, magnetized pulleys, tube grates, chutes and cranes. 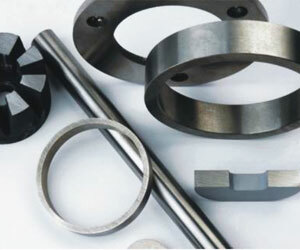 Magnets are required to separate ferrous impurities from non-ferrous matter. They separate metals from ore in the mining industry. In the food and pharmaceutical industry, magnets pick out any iron particles that might have inadvertently mixed with the food or medications. Magnetic sweepers in airports, docks and construction sites pick up any waste iron scrap that would otherwise endanger traffic or puncture tires. By detecting the scrap before any harm is done, they prevent the expense of repairs. Industrial magnets lift, hold, convey, stack and drop heavy loads. This is very useful in construction, shipping, manufacturing and mining. Magnets are also used in salvage operations and can help dredge large items from the ocean floor. Magnets, in permanent and electromagnet combination, are used in electric motors for converting electric energy into mechanical energy. The same combination is used in generators to convert mechanical energy into the electrical. Electronic goods like televisions, radios, CRT computer monitors, CD drives, loudspeakers, microphones, clocks, and sensors have magnets in them. Magnets are used in amplifiers, electric guitar pickups, transformers, actuators, compasses and toys. Magnets are used in Maglev trains. The full form of Maglev is magnetically levitated. The magnets in the underside of the train and in the rail tracks repel one another. Due to this repulsion, these trains actually float or levitate above the train tracks. This lessens friction and increases train speed. Maglev trains, which were first introduced in Japan in 1997, can travel at speeds up to 480 km/hr. In fact, super magnet is not a kind magnet. It refers to Neodymium magnet especially Sintered Neodymium magnets. 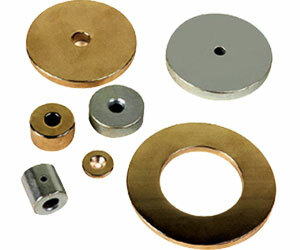 Even the magnetic power of the lowest grade of Sintered Neodymium –N27 is higher than that of highest grade of Smco magnets or Ferrite magnets. Sintered Neodymium magnets can hold 1300 times their own weight, which means that a one-gram neodymium super magnet can hold up a 1.3kg (2.8Ib) iron sphere. In 1982, the NdFeB compound were discovered by General Motors Corporation and Sumitomo Special Metals. As the material cost of the Smco permanent magnets is very high, people were principally driven to develop Neodymium magnets which are rather cheaper than Smco magnets. Super magnets have a variety of uses, the most common being for stabilization and head motors in computer hard drives. They are also used in medicinal industry, food industry and metal indsury for seperating ferrous parts from non-ferrous material. 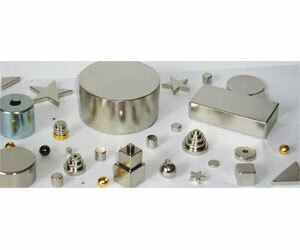 In one word, Sintered Neodymium magnets have become an essencial material in many industries. On the other hand, super magnets have some disadvantages. Firstly, they are very easy to be rusted due to their chemical compositions. But it can be prevented from being rusted by coatings. Secondly, they will be demagnetized if the working temperature is beyond their max. working temperature. 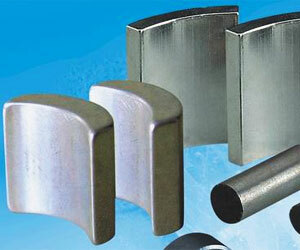 In this way, China Polar Magnet will help customers to choose the suitable magnet in accord with their requirements. Thirdly, super magnets can easy attract together if they are used uncarefully. It is impossible to separate them if the contacting area is fairly large without any damage to the magnet. And neodymium magnets are dangerous to people with pacemakers. Besides health, super magnets can be dangerous to data, for example, they can erase credit cards and mess up hard drive data so completely that it becomes irrecoverable, even using the best techniques.